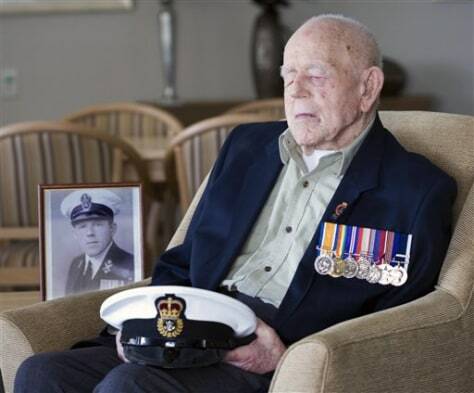 In this Sept. 11, 2009 photo supplied by the Royal Australian Navy, World War I Navy Veteran Claude Choules sits in the Gracewood Retirement Village lounge room in Salter Point, on the suburb of Perth, Western Australia. Claude Stanley Choules, the last known combat veteran of World War I, died, Thursday at a nursing home in Perth, his family says. He was 110.